There’s a Mediterranean feel to this pan-fried sea bass recipe by Kevin Mangeolles of The Neptune. 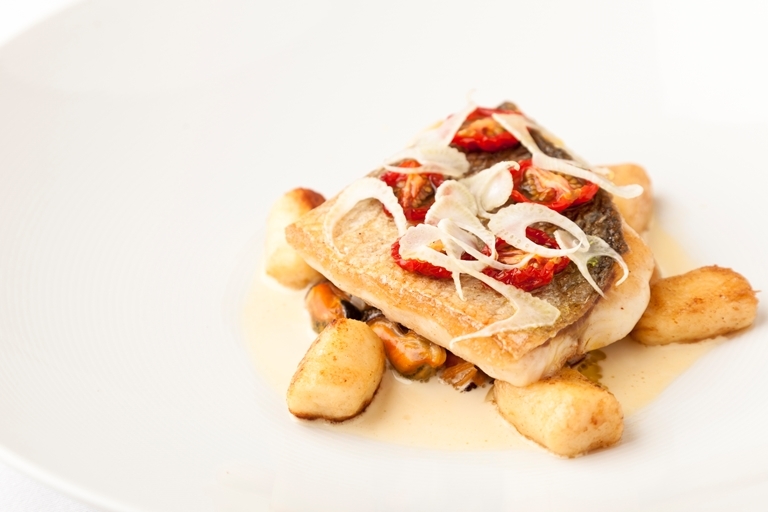 Sea bass and fresh mussels unite alongside delicious potato pasta, dried cherry tomatoes and fresh fennel for a fabulous, hearty meal. The fresh flavours and bright colours of this seafood recipe make a treat for the eyes and tastebuds alike.